Home / Please Don’t Touch! I have the coolest job ever! As a curator at the State Museum, I get to work with and protect artifacts that run the gamut of “cool,” from moon rocks to antique cars. The reason I get so excited about what I do is that I am a tactile person. For me it’s one thing to read about the Battle of Little Big Horn in a high school history book and a completely different thing to hold in my hand an actual bullet that was fired at the battle. That bullet was there. It was a witness to, even a participant in history. It gives an abstract idea a physical form. 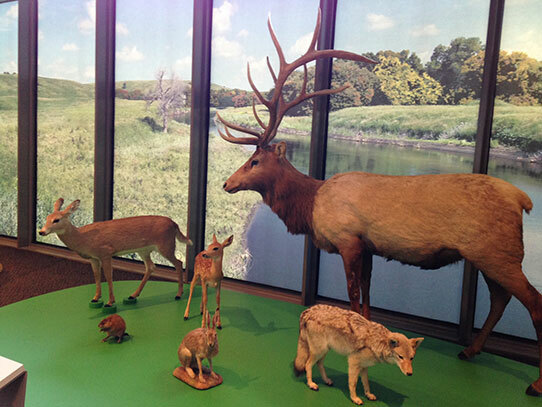 That is exactly why we use artifacts in our galleries—to provide that connection for people and get them excited about North Dakota’s history. As you’re walking around any museum, you’ll probably see at least one sign that says, “Please Do Not Touch.” I understand the temptation to touch. People see something in the gallery, and maybe it provides the connection for them that it does for me, so they reach over a barrier and touch it. When you touch an artifact, it doesn’t crumble away into dust and gives no immediate reaction. However, given enough time, 5-10 seconds of contact can cause a surprising amount of damage. When handling artifacts, museum staff uses gloves. The main reason is that we all—myself included—have oil, sweat, dirt and other residues on our hands, even after washing them. Given enough time and contact, those residues build up. That is especially true for museum artifacts, because cleaning them requires a great deal of care and should rarely be done. 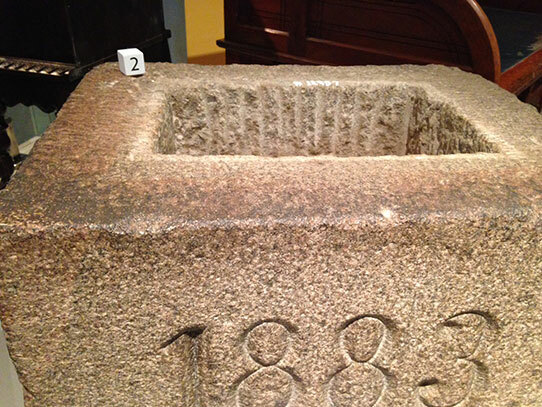 The cornerstone you see below has been on display in our main gallery for many years, but that brown residue you see along the top edge wasn’t there when the stone went on display. It is oil, sweat and dirt that have built up from decades worth of touches. The brown residue you see along the top edge of the cornerstone is the built-up dirt, oil, and sweat from decades worth of touches while it has been on display. It is the cornerstone of North Dakota’s first state capitol building, which burned in 1930. Some materials react to the oils found on the skin. Notice the fingerprint on this piece of copper seen below. It has caused corrosion on the surface of the metal that is very difficult, if not impossible, to remove, meaning someone’s fingerprint will probably be etched into the surface forever. 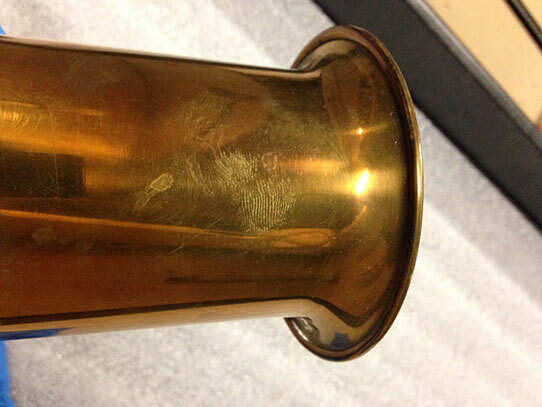 You can see the fingerprint on the side of this copper artifact. The oils in your skin can react with some metals and given enough time, can permanently oxidize a fingerprint onto the surface. Some artifacts are dangerous to touch. Many older taxidermy mounts were prepared using arsenic, because it kills insects that might otherwise feed on the specimen. Arsenic is also quite poisonous to humans, and some mounts in our collection have tested positive for arsenic contamination. You should never touch a taxidermy specimen that you see in a museum, because you may get a little more than you bargained for. Arsenic was used as a preservative in many older taxidermy mounts, because it kills insects that might otherwise try to eat the mount. Some of the specimens in the state museum’s collection have tested positive for arsenic and many others show signs of contamination. That is a very good reason to never touch taxidermy specimens in museums and take care when handling any mounts in private collections. 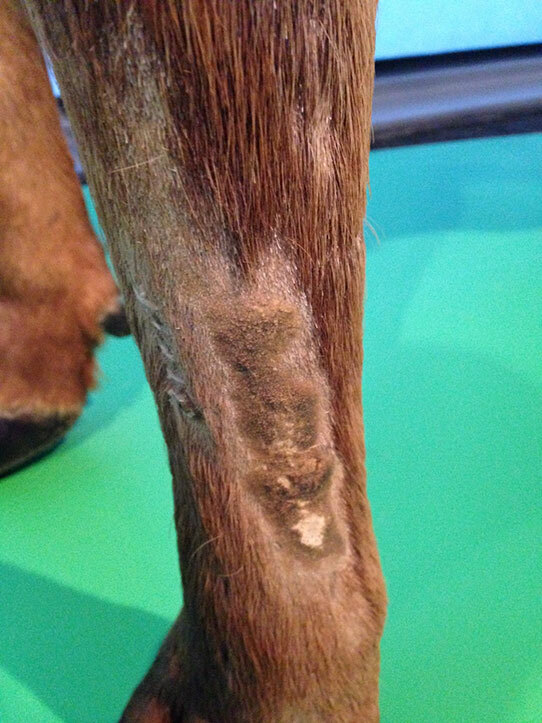 On the leg of this elk, which you can see in our Early Peoples museum gallery, an area of fur and skin has been worn away by people rubbing the fur. Unfortunately, some of them probably took home a bit of arsenic. The image above shows the leg of the elk mount from the previous photo. We know he was on display for many years, and visitors apparently enjoyed touching his leg! The fur and even some of the skin are worn away. You can really see the damage that can happen with enough time and enough contact. When you resist the temptation to touch an artifact, you are helping us to preserve it for future generations to see and enjoy, and you may be keeping yourself safe as well!